Homefill oxygen devices or oxygen transfill systems are popularly known as Oxygen Refill Systems. They are portable oxygen refill devices which are used at home to fill empty oxygen tanks. By using oxygen concentrator technology, the concentrated oxygen is extracted from room air to oxygen refill machines. This gives the user an unlimited refill of oxygen. The concentrated air is then pressurized by the refill system to fill the oxygen cylinders. Patients get more liberty as now they don’t have to depend on oxygen vendors for a refill. When to use Home Oxygen Refill Systems? An empty oxygen cylinder can be refilled at any time. It does not matter if the patient is away for shopping or taking a nap. There are no restrictions on refilling the cylinder. Turn on the machine and attach the empty cylinder to refill oxygen tank at home. 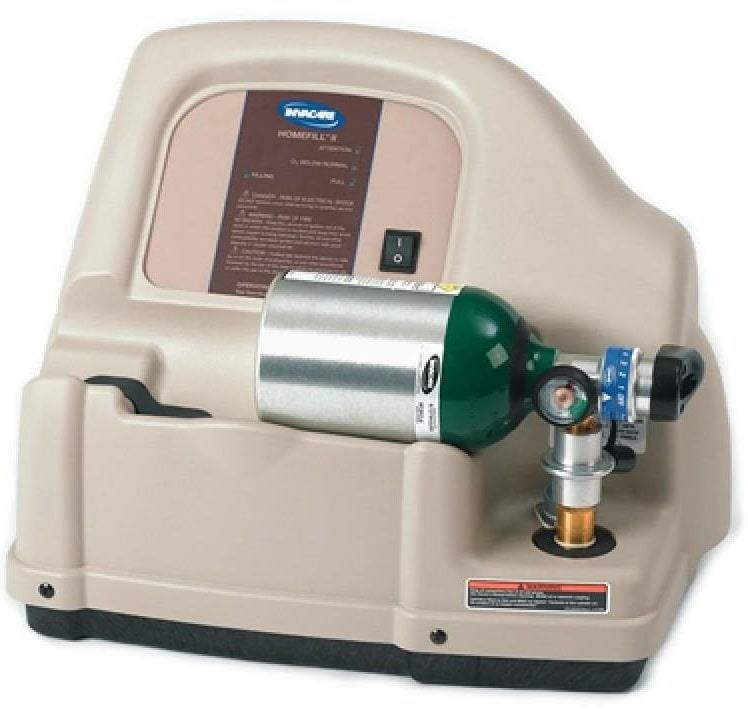 After refilling, the portable oxygen tank can be used instantly or can be kept in as a reserve. Oxygen refilling also saves the space required for storing the number of reserve tanks. Always make sure that the cylinder is filled with oxygen so as to prevent emergency situations and risk the life of the patient in any case. There is no harm in having extra oxygen stored in the tank. Where to use an Oxygen Refill Machine? An oxygen refill system can be used at places that have a regular supply of 110-120-volt electricity. Most common places are home, offices, hotels, and even cruiser boats. Oxygen tank refill is not a rocket science and so a basic knowledge of appliances can help a person easily plug in the concentrator and fill in the oxygen. 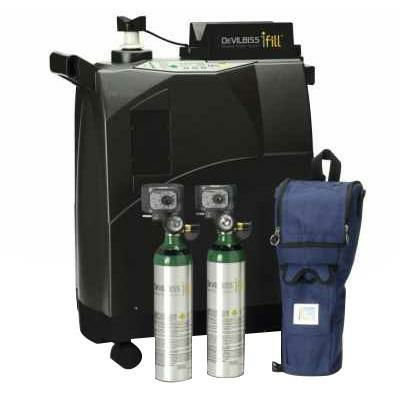 Drive PureFill Oxygen Compressor System is designed to provide an unlimited oxygen source for patients to refill portable oxygen cylinders themselves. 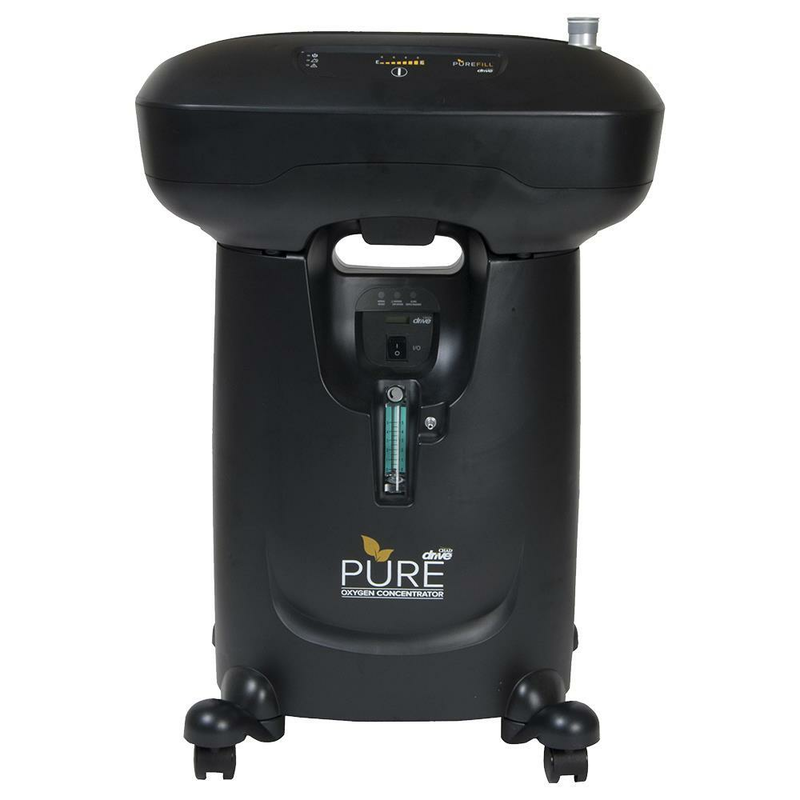 The PureFill is compatible with any oxygen concentrator with a transfill port that also produces greater than 90% oxygen. It is an electrically operated unit which fills pressurized cylinders with concentrated oxygen produced by an oxygen concentrator. It is recommended to be used with Drive Pure Oxygen Concentrator. 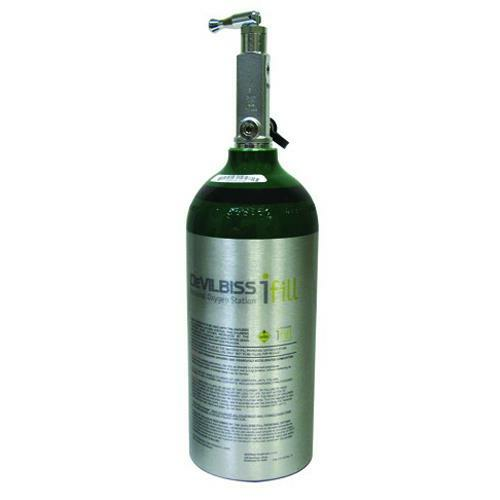 Devilbiss iFill Personal Oxygen Station provides unmatched flexibility and ease of use. 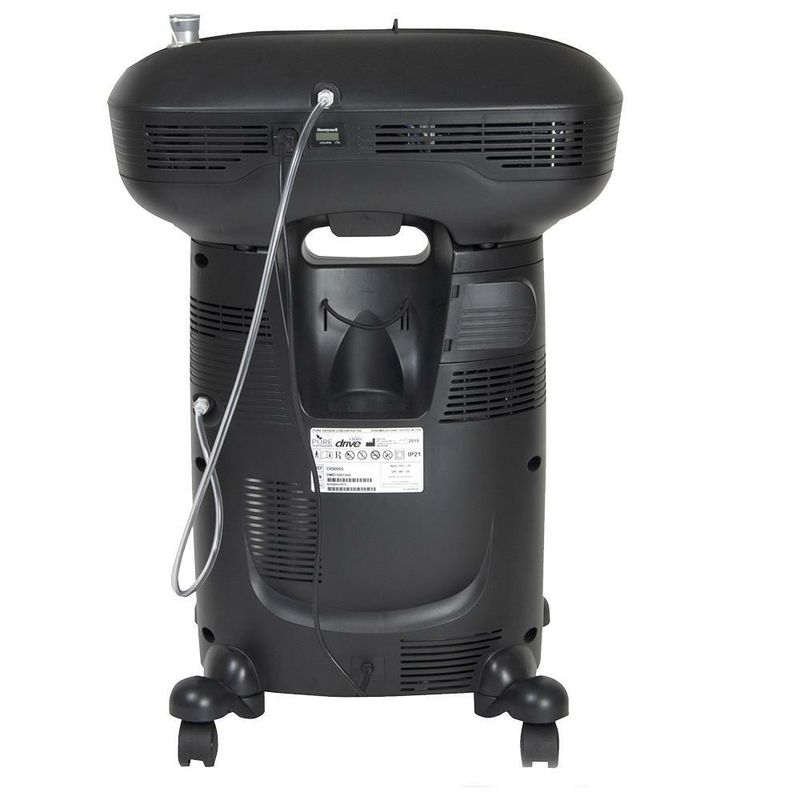 The iFill unit extracts purified oxygen from room air using oxygen concentrator technology and pressurizes it to fill oxygen cylinders. This system makes it easy and convenient for users to fill portable oxygen cylinders in their homes and gives them greater freedom to come and go. It helps fill cylinders in shorter times to save energy costs. 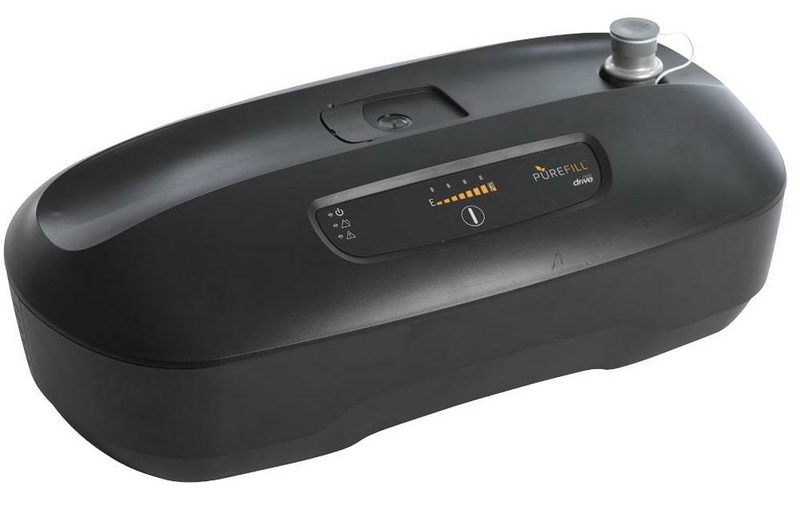 Invacare HomeFill Oxygen Compressor is used to supply pressurized oxygen to fill Invacare proprietary gas cylinders for ambulatory use while the patient receives therapeutic oxygen from an accessory oxygen concentrator. This compressor can fill cylinders for portable use by ambulatory patients. It provides an unlimited, refillable oxygen supply, and ensures oxygen purity is always greater than 90 percent. How to refill Oxygen Tanks? Place an oxygen refill machine on the top of an oxygen concentrator and connect them to each other. Plug them into an electrical socket and press the power button to turn them on. Connect your oxygen tank or cylinder to the refill machine. Make sure that the oxygen conserver or regulator on the tank is turned off. If you are not using a conserver or regulator to fill the oxygen cylinder, verify that the cylinder valve is closed to ensure proper filling. Remove any protective caps from the oxygen tank. When not in use, replace these protective caps to prevent dust buildup. Gently pair the cylinder fill port of the refill machine with the cylinder. You will hear an audible click when the cylinder is secured to the oxygen compressor. Press the fill button to begin filling your oxygen tank. Filling might take some time depending on the size of your cylinder. You will be indicated when the tank is full. Most machines automatically shut off when the canister is full. Turn off the power button and release the cylinder from the oxygen refill system. Oxygen tank refill is an important part of respiratory health and ensuring that your tank has enough oxygen is as important as ensuring you breath. Choose the right oxygen refill devices to ensure the safety of the patient as well as a healthy treatment process.